At its height, Ravin Sarasohn had over 50 lawyers and was regarded as the premier bankruptcy firm in the state. David N. Ravin, 91, died peacefully on Monday, December 25th, surrounded by his family. He resided in North Caldwell for almost 50 years with his wife Carole. David grew up in Newark, where he attended Weequahic High School followed by The University of Tennessee and Rutgers Law School-Newark. He began practicing law in 1951 and early in his legal career joined his father and uncle in the law firm Ravin & Ravin, where he specialized in bankruptcy and creditors rights matters. He eventually formed his own firm with several other lawyers; a firm which, after the addition of his brother-in-law Mark Baumgarten and several others, eventually became known as Ravin, Sarasohn, Cook, Baumgarten, Fisch and Rosen, P.C. based in Roseland. At its height, Ravin Sarasohn had over 50 lawyers and was regarded as the premier bankruptcy firm in the state. 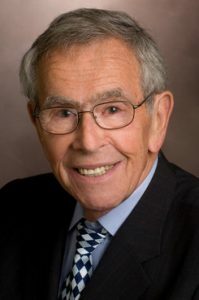 In his later years he practiced at other prestigious New Jersey law firms, including most recently Wolff & Samson PC, until his retirement in 2013 (at the age of 87). David had a profound impact on shaping the bankruptcy practice in New Jersey through service on various commissions, important educational panels and involvement in many of the largest and most significant Chapter 11 cases filed in the state. He was known as an innovative and creative problem solver and was respected for his integrity and intelligence throughout his career. In addition to practicing law, David loved to play tennis, sail, spend time in his beloved home in Stratton, Vermont, and attend the New York Philharmonic, the Metropolitan Opera and the Manchester Vermont Music Festival. He leaves behind his wife Carole, sons Richard Ravin and Adam Ravin, daughters Beth Ravin and Marta Ravin Leinwand, 8 grandchildren and 4 great- grandchildren. He was preceded in death by his son, Robert Ravin, who died in 1970 at the age of 20. Services were held 10:30 A.M. on Wednesday, December 27th, at Temple Sholom of West Essex, 760 Pompton Ave, Cedar Grove, NJ 07009. Contributions in his memory may be made to Smile Train or Morristown Medical Center. We asked more than a dozen leaders in Big Law, small law, corporate legal departments and academia to tell us about the people who shaped their careers. If you have to pay for your designation of excellence (whether or not it comes with a plaque), don’t. Gerson was the nation's oldest-serving prosecutor.